← Save the date: June 29! 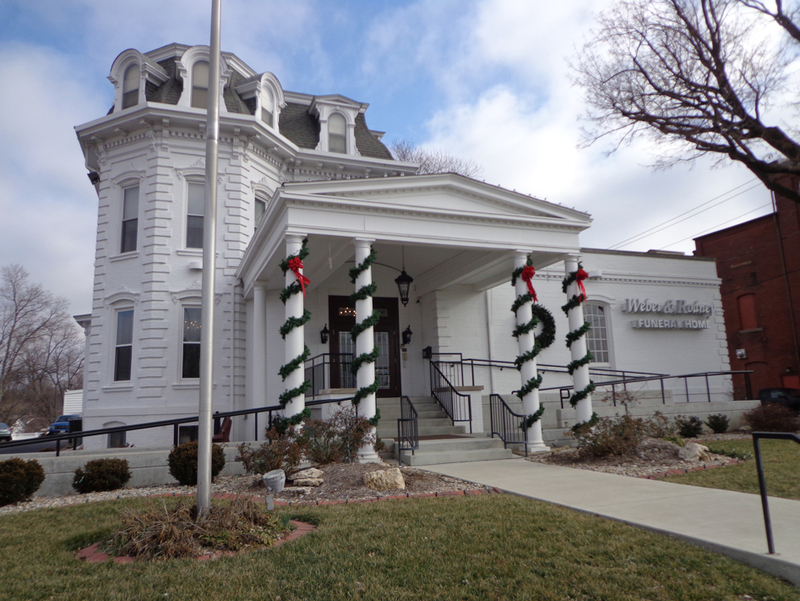 For those of you with a connection to John Sebastian TRARES, below is a photo of his home in Edwardsville, Ill., which, as you may remember from one of my earlier posts, is now a funeral home. This photo arrived in my email inbox courtesy of Br. James-Peter Trares, who recently made a trip to Edwardsville to learn more about John S. Trares. Reminder: If there are any TRARES connections in the St. Louis or Edwardsville area who wish to connect with Br. James-Peter, please drop me an email at Knapp Notes so I can forward his contact information to you. This entry was posted in Family History, Local History, Trares and tagged John Sebastian Trares. Bookmark the permalink. I lived in Edwrdsville for two years and our house was around the corner from the Trares Home now a Funeral Home…I was last there for a cousins funeral about 20 years ago. with my parents. and I attended St Boniface elementary school as did my father Jerome. (who was a redhead) hanging in my family room.